Journal is one of the most important book of account, in which business transactions are recorded systematically. In layman’s term, we can say it is a book of daily records. When a businessman completes a business transaction, he records it in the rough or waste book in a short and summarized form. Then this business information from the rough book is recorded in a journal. Thus, business transactions are recorded in a journal on the basis of the rough book or waste book. The word journal is derived from the latin word “jour”, which means “a day”. Accordingly, a journal is a book of daily records. 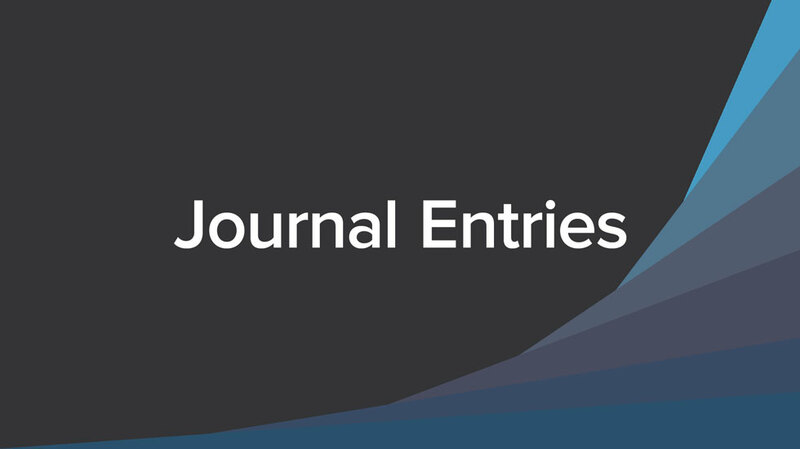 Journal is one of the main books of original entry in which transactions are recorded for the first time, from source documents. Therefore it is also known as the book of original entry. This whole process of recording entries in summarized form is known as journalization. Before we move ahead make sure that you know the Three Golden Rules of Accounting. It is necessary to understand what to debit and what to credit. Let’s move to some basic journal entries with examples. Mr. A started business with cash $1000. Mr A open a bank account in X bank by depositing $800. Mr. A brought goods worth $800. Mr A sold goods worth $400. 1 Cash A/c. ………. Dr.
2 X Bank A/c. ………. Dr.
3 Goods A/c. ………. Dr.
4 Cash A/c. ………. Dr. This is how journal entries are made in the journal book. Please share some more examples. Challenge accepted. I will share some more in coming days. Stay tuned. Good example to clear basic journal entry concept. Thanks for your feedback Manisha. You can subscribe us for more updates. Very best examples for freshers. Point of view and the base is clear now for accounts. Thanks. Most welcome to the kind feedback. It is some kind of legal or professional expenses.